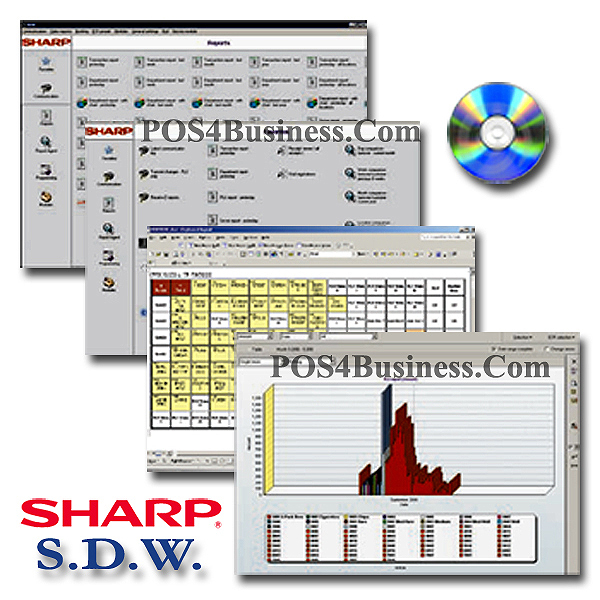 Increase the functionality of your Sharp electronic cash register or point-of-sale system with SDW Back Office Management Software. This management software provides advanced features your business needs to operate efficiently and stay competitive. With an interface designed to provide access to vital retail statistics, detailed reporting and polling features, its easy for managers and business owners to monitor store operations. 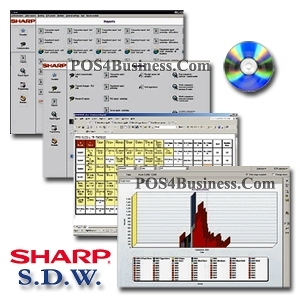 Intuitive and user-friendly, Sharp�s SDW Back Office provides information you need to keep your business growing and on the right track. 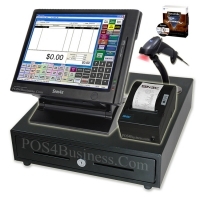 The Sharp ECR or POS may connect to a PC via its RS-232C serial interface through a direct connection or a modem, or via an Ethernet network (compatible models only) using the TCP/IP protocol, Ethernet hub, and Ethernet. Graphical user interface: Customize the look and feel of favorites and shortcuts to enhance user friendliness. Automatic Scheduling: Configurable based on user requirements to facilitate communications and printed reports automatically. Central ports management: Connectivity through RS232 direct cable, modem or Ethernet LAN using the TCP/IP protocol. Historical Reporting - Selections include Date Range Last Week, Last Month, Last Year, etc. Add the Ability to share data with other PC systems using the definable export options. Export programming data, make changes elsewhere and import the new file using the helpful Import Assistant. Centralize head office manage data � creates workgroup environment accessible by more people within the same office. Present graphical analysis based on defined profiles and archive for trend analysis. Easily print bar codes using RS-232 DB9 serial interfaces. Compatible with standard printer and Sharp MFP products. Filter, find and view a representation of the actual receipt from the original time of sale. Aids in loss prevention. Control costly inventory overhead by building data profiles and analyzing inventory transactions and status. Provide access to essential information to authorized personnel while controlling access for others; includes 99 levels of authority covering every SDW function. Note: The above modules are dedicated interfaces which require usage of the UPSDWSBU or UPSDWBM1 products.